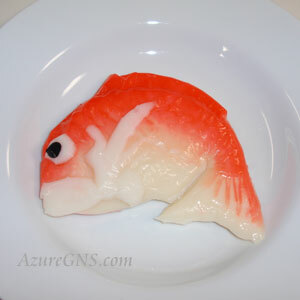 Each year in Japan was once considered to be a unique segment inside a 60-year cycle. This concept was introduced to Japan from China in the sixth century. The number 60 comes from the product of 5 pairs of elements and 12 different animals. The 5 pairs of elements are the combination of 2 signs out of the 10 following signs. These 10 signs are Ko, Otsu, Hei, Tei, Bo, Ki, Ko, Shin, Jin, Ki. The twelve animals are Ne (Rat), Ushi (Ox), Tora (Tiger), U (Rabbit), Tatsu (Dragon), Mi (Snake), Uma (Horse), Hitsuji (Sheep), Saru (Monkey), Tori (Chicken), Inu (Dog), and I (Wild Boar). 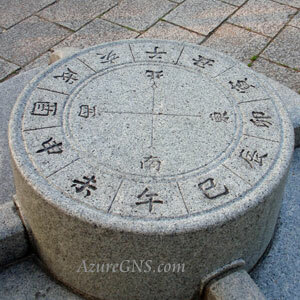 The 60 divisions of time were also used to divide the compass for directions, and to indicate the time of day, days, and months, but nowadays they are only used to indicate years and fortune telling directions. 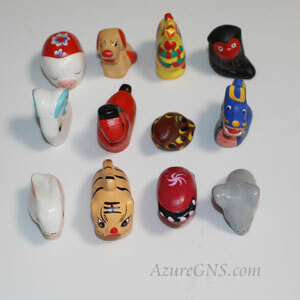 The combination of these twelve animals are called Junishi, or Eto (the twelve signs of the oriental zodiac) whose cycle repeats every twelve years and does not change sequence. We can guess a person’s age through his or her animal. 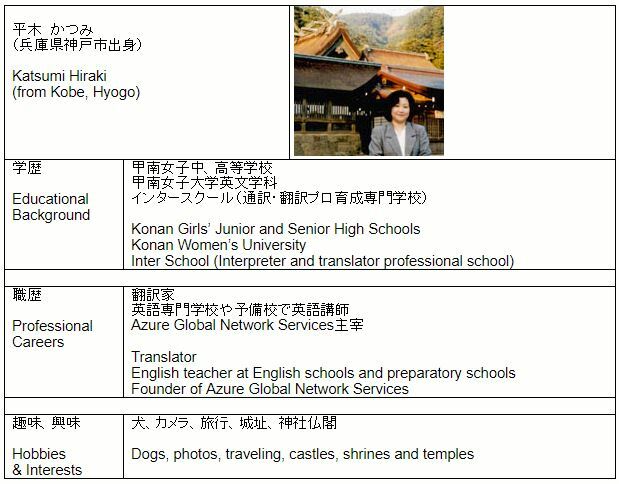 People born in a year of the animal that is being observed are called Toshi-otoko (for men) and Toshi-onna (for women). People talk about Junishi most when a new year comes. Pictures of the animal of the year are often used for their New Year cards, and dolls or pictures decorate houses on New Year’s Day. 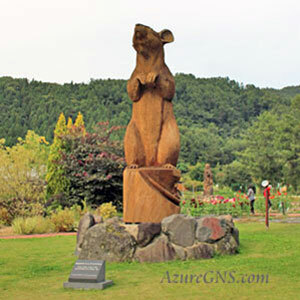 Various representations of the animal of the year are seen in many places. 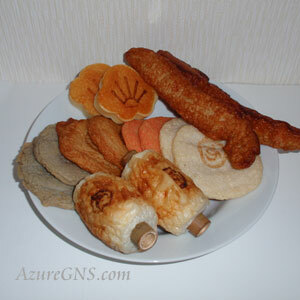 Through the Silk Road, the concept of Junishi was introduced to many countries such as Asian countries, Russia, Bulgaria and Arab states, but some of them assign different animals. 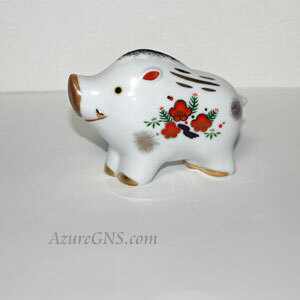 All the countries except Japan place the Pig at the end of the Junishi instead of the Wild Boar. In Vietnam, the Water Buffalo replaces the Cow, the Goat replaces the Sheep, and the Cat replaces the Rabbit. In Thailand, Tibet and Belarus, the Cat replaces the Rabbit. In India, the Chicken is substituted by the Garuda, a sacred golden bird in both Hindu and Buddhist mythology. In Kazakhstan and Mongolia, the Tiger is sometimes changed into the Leopard. After a person has gone through the entire 60-year cycle, at the age of 60, he or she has a celebration of longevity called Kanreki. Because of the idea of making a fresh start after a 60-year cycle, a red vest and a red hat similar to what a baby wears are traditionally given to the person celebrating his or her 60th birthday. 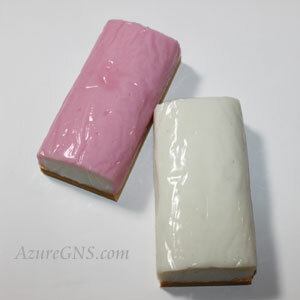 However, as the life expectancy has recently become longer, 60-year old people are no longer considered to be elderly. 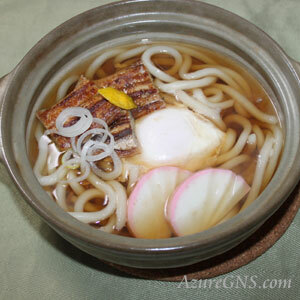 Therefore, people dislike treating 60-year old people as elderly, and 60-year old people dislike being treated as elderly, so the celebration of Kanreki has been passing gradually. It is said that people share character traits with the animal of the year they were born. I was born in the year of the Wild Boar, so my family told me that both of my character and figure are similar to the Wild Boar. Indeed, I am an active and obstinate person and need to lose weight. 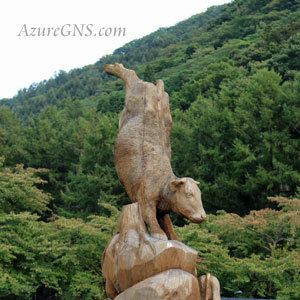 I never eat the meat of the Wild Boar, my guardian animal. 【Good Point】　The Rat is an amiable, considerate, and clean person. 【Bad Point】　The Rat can be greedy and sometimes tends to fail in its life because of love affairs. 【Good Point】　The Ox is earnest, patient, and a hard worker. 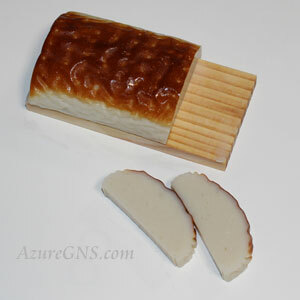 【Bad Point】 The Ox is sometimes stubborn, and can be a poor talker. 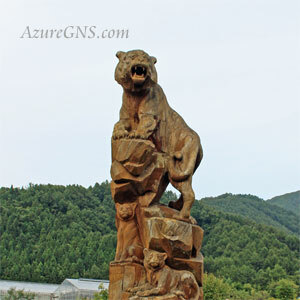 【Good Point】　The Tiger is courageous, thoughtful, and charitable. 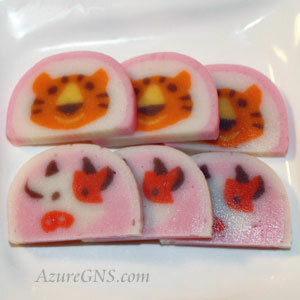 【Bad Point】 The Tiger is occasionally overconfident and can be a little selfish. 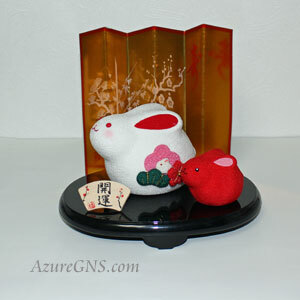 【Good Point】　The Rabbit has a tender heart, and is charming and witty. 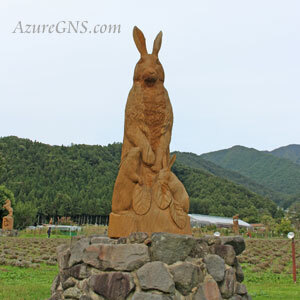 【Bad Point】　The Rabbit is sometimes thought of as impatient and may have some trouble with its love life. 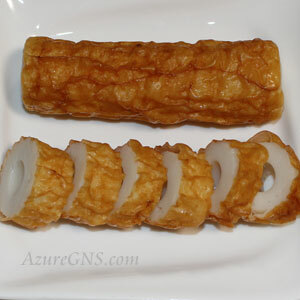 【Good Point】　The Dragon is proud, quick, and sincere. 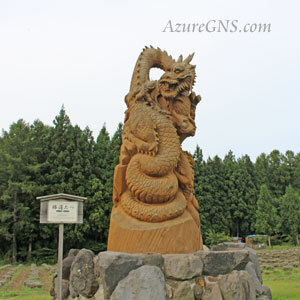 【Bad Point】　The Dragon is sometimes said to be unsociable, and can be short-tempered. 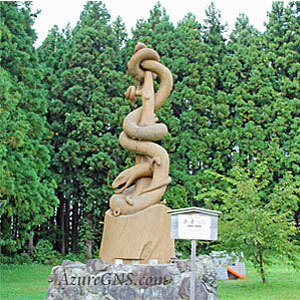 【Good Point】 The Snake is deliberate, cool-headed, and has luck with money. 【Bad Point】　The Snake can tend to be a little suspicious and jealous. 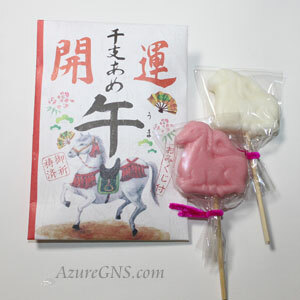 【Good Point】　The Horse is a merry, popular, and obliging person. 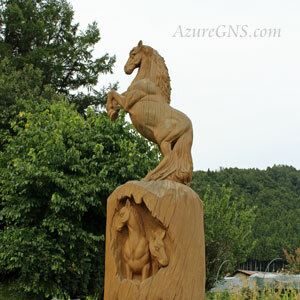 【Bad Point】　The Horse is sometimes considered thoughtless, and may be a little simple. 【Good Point】　The Sheep is gentle, kind and merciful. 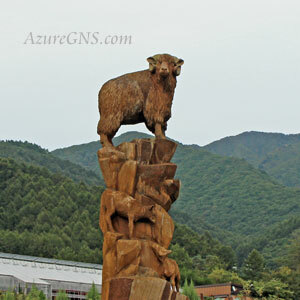 【Bad Point】　The Sheep can be a little timid and tends to be negative. 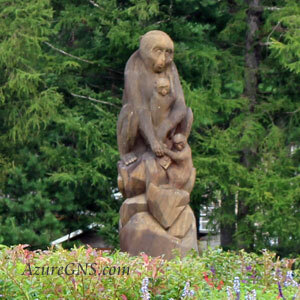 【Good Point】　The Monkey is dexterous, clever, and fortunate with money. 【Bad Point】　The Monkey sometimes loses interest in things and is a little mean at times. 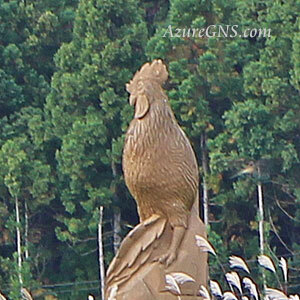 【Good Point】　The Chicken is sensible, worldly-wise, and has the gift of the gab. 【Bad Point】　The Chicken can be changeable, and on occasions has difficulty bearing the fruits of its labor though it is very busy. 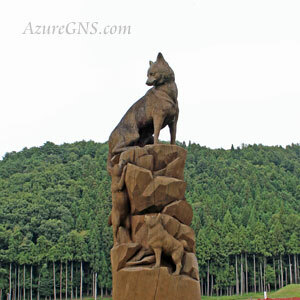 【Good Point】　The Dog has a strong sense of duty, is honest and industrious. 【Bad Point】　The Dog can be eccentric and sometimes worries too much. 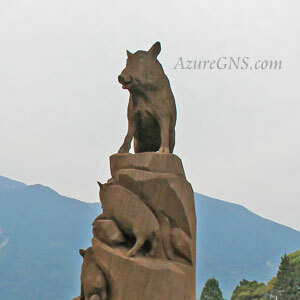 【Good Point】　The Wild Boar is an innocent, decisive, and chivalrous person. 【Bad Point】　The Wild Boar is thought of as being irritable and obstinate. Since Fukurokuju and Jurojin are both considered to be deities of longevity, some think of them as one and the same deity. 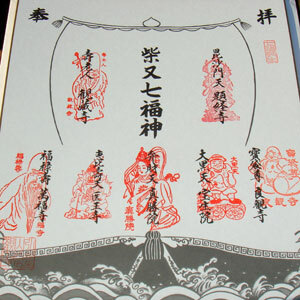 Otafuku or Daruma is sometimes added to the Seven Lucky Deities and in this case, they are called Hachi-fukujin (the Eight Lucky Deities). 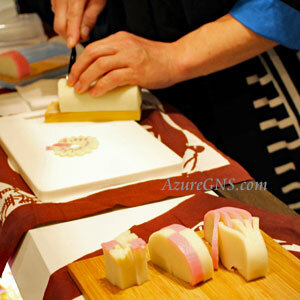 There are various famous Shichi-fukujin-meguri routes all around Japan. The Shichi-fukujin-meguri is a pilgrimage of half a day or a few days to visit seven (occasionally from 8 to 10) shrines or temples, where each deity is worshiped, praying for good luck and collecting Goshuin (a sacred vermilion temple or shrine seal). 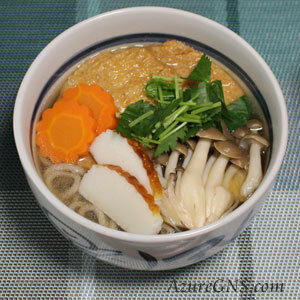 Generally, it is said that prayers of the Shichi-fukujin-meguri from January 1st to 15th are the most likely to be answered, though the Shichi-fukujin-meguri is held all year round in some shrines and temples. 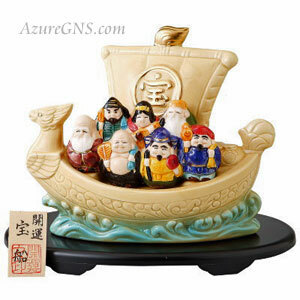 Shichi-fukujin are often represented aboard a ship, called Takara-bune (the treasure ship). 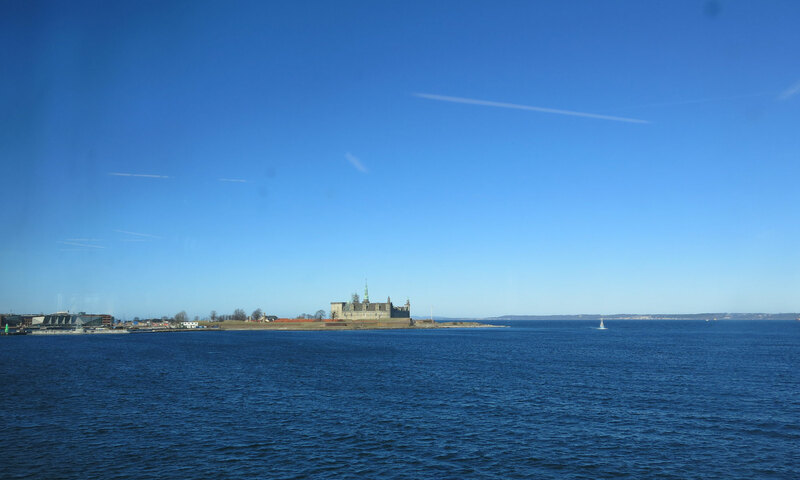 According to folklore, this ship will make your first dream of the year auspicious, if you sleep with its picture under your pillow on New Year’s Day. 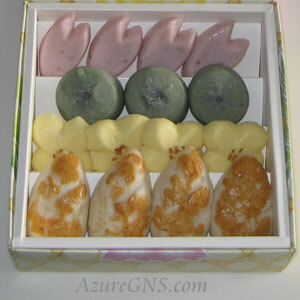 Among Shichi-fukujin, Ebisu is the only deity who has his origin in Japan, and he is believed to bring good fortune to business. He is represented holding a fishing rod in his right hand and a big sea bream in his left; therefore, he is also worshiped as the patron of fishermen. In addition, he represents candor; the ability to speak openly and honestly. 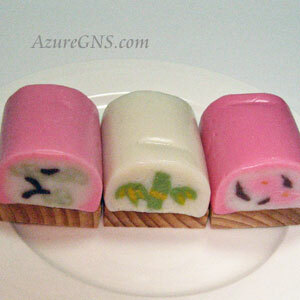 His happy smiling face is widely recognized and loved as “Ebisu-gao” (Ebisu’s smiling face). 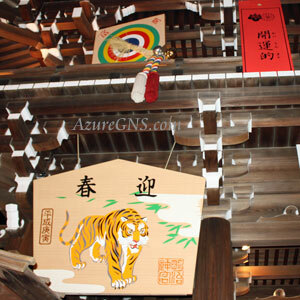 Daikokuten is one of the most popular gods because he is believed to bring fortune or wealth to a household. He has an uchide-no-kozuchi (a magic mallet) and carries a big bag full of treasure on his back. His origin was as Shiva in Hinduism, and later he was incorporated into esoteric Buddhism and was introduced into Japan by Saicho (a Japanese Buddhist monk in the 18th century, a founder of the Tendai sect). Hotei is supposed to have existed as a Zen priest in Tang China (688-907). He is a jolly deity with a very rotund stomach and carries a big cloth sack after which he was named. 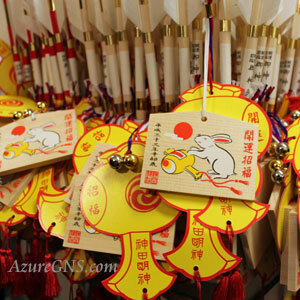 He is the deity of generosity and can predict one’s fortune and the weather. Benzaiten originated from the Hindu goddess of rivers in India. She carries a lute (a small harp); she is the goddess of music. She also personifies eloquence, grace and kindness. Bishamonten is a warrior deity, wearing armor and a helmet, however, he originated from a deity of fortune in Indian mythology. Brought from India to China by way of Central Asia, some characteristics were added to him and he became a patron of battles and wars. He is one of Shi-tenno (the Four Heavenly Kings), he is also called Tamonten, and is a guardian of the northern direction. Despite his rough appearance, he is full of dignity, and is especially kind to the poor. Fukurokuju, also called Fukurokujin, is a deity of longevity and popularity. 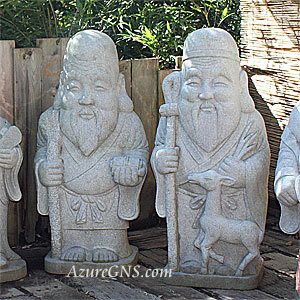 He is enshrined as a deity of three stars of Taoist beliefs in China; happiness, remuneration and longevity. He has an elongated head, walks with a cane and is accompanied by a white crane. 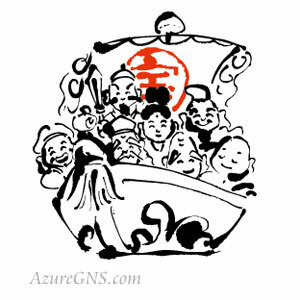 Jurojin and Fukurokuju have a lot in common such as being deities of Taoism in China, the symbol of longevity, a tall head and a cane. Therefore, the two are sometimes confused or are identified to be the same deity. He likes alcohol and is represented leading a deer. Kichijoten, Bishamonten’s wife, is an attractive deity in a jeweled crown and a heavenly garment and with a nyoi-dama (a magic wish-fulfilling gem). She brings happiness and virtue to a lot of people. Kichijoten, who was originally a goddess of Hinduism, was imported into Japan after she was introduced into Buddhism.